The hard disk at the heart of your Mac is a fragile tool. Not only can the data on it go awry, but the disk itself can also fail, leaving you with nothing. There's not much you can do about a physical failure other than keep a regular backup, but the software side of things is a bit more manageable. Disk tools for Macs have been around for a long time. Some (such as Norton) have gone, but others are still with us, protecting our data from corruption and optimising our drives for speed of access. But how do you choose which one to use? We've gathered four disk utility tools and compared them with each other to see which offers the best performance, specification and value for money. We'll look at how easy they are to use and how well they perform. Of course, hard-disk tools have to be able to recover, repair and make hard disks faster, but the extra features are important too, so we'll be awarding points for added functionality. Bringing back a dead system might be priceless, but we'll be taking a stern look at what you get for your cash too. You need to know that when the data on your hard disk does stop working, the hard disk tool you've invested in can solve your problem – a one-stop recovery shop, as it were. In essence, it should be the type of software you only have to use once in a blue moon, precisely because it does its job properly, and that's exactly what we'll be looking for here. Test one: How much does it cost to rescue your precious data? You might think that rescuing your data is priceless, but there comes a point where it's simpler to just format your disk and restore from a backup. Obviously, if you don't have a backup then you'd probably be willing to spend a little more to get your precious data back, but, even so, there are limits. We're not simply giving the cheapest utility here the most marks, though DiskTools Pro is certainly a compelling buy at just £49. We're also assessing these utilities on what they do… over and above the call of duty. What else do you get from your cash? Bottom of the pile in this respect is DiskWarrior, which offers few extra features other than the directory rebuilding and hard disk graphing. At nearly £100, we expect more from our applications. 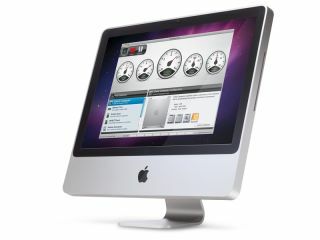 TechTool Pro and Drive Genius certainly offer much more functionality for your money. Price may not be everything when it comes to rescuing the data on your hard disk, but it's certainly a consideration and here we have a clear loser.